I would like to see anker make some magnetic USB chargers. I saw the volta kickstarter back when it was still just a concept and now there seems to be a bunch of small companies trying to make them but they're seems to be no set standard yet. If you buy one brand, you are pretty much stuck with them. 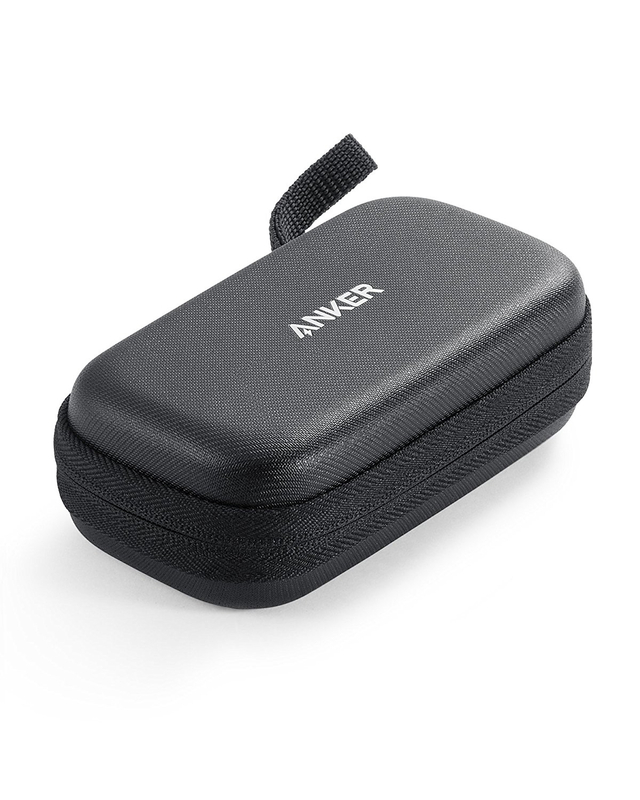 If I'm going to be stuck, I feel better with an Anker branded product. The problem with those, and I mentioned it in the past when I presented to Anker the kind I had. Is that the magnetic tips and cables tend to heat up more than they should which could lead to a fire hazard. That's interesting. I'm going to look that up in a second but I can't think of anything that would cause heat. The scariest scenario is if the magnets attract enough ferrous materials causing a short between the positive and negative contacts. Not trying to argue or anything. Just trying to figure out how the whole magnetic connector setup could cause heat. I travel for work - weight and space is at a premium. I currently take an Anker 5 port usb charger and my apple laptop charger. I would love to consolidate this into one device, which would also make international charging a lot simpler. I have to charge cameras, toothbrush, battery pack, speaker, head torch, headphones and phones and I have a small usb light (because usually sockets by beds come in pairs and I have to unplug the bedside light to plug in my two chargers!). I have a mid 2014 13" MacBook Pro. If a charger could offer both 85w usb-C (at least 1 port, preferably 2, for future proofing) and multi port usb-A fast charging I would buy it... And I would purchase myself a new 15" MacBook Pro to match! Just trying to figure out how the whole magnetic connector setup could cause heat. This might sound a bit crazy, but I think that Anker should make a Vacuum cleaner. The technology inside would probably be great, and something like a small cordless thing would no doubt last for ages (with a huge battery inside). Anyway, whatever Anker makes next, it’s bound to be good. Edit: duh. They already make a robot vacuum cleaner. Well, now I have to get 7 of them just to make sure. A wired desktop replacement keyboard, correctly labeled for both MacOS and Windows in relevant ISO 9995 format. Slim or full height, aluminum or not. The target market is primarily any Mac system that also runs Windows via Bootcamp, virtualization (Parallels or Fusion), or Microsoft Remote Desktop. It should have the special function keys, eject, volume, brightness, etc. for macos and driver software that enables the analogous functions in Windows. Proper labeling and function of the Command / Windows keys, Alt and AltGr for language support. One or two additional USB ports for mouse and tablet/pen input. And a numeric keypad. Apple has left plenty of room with the wireless half a keyboard @ $179 for anybody to do a lot better for a lot less. It is a useless annoyance to have to stock a bunch of batteries and have devices pairing haphazardly around the offices when a simple cable worked. How about some usb c cables in powerline + and make some 1 foot usb c cables. I don’t want to buy another brand I want Anker. It’s been a while and I have yet to see some. As you are fully aware, anker is also a Chinese company. I wouldn't think its appropriate to generalize and bad mouth an entire nation for inferior products. Empty powerbank cases. I have lotsa cells for flashlights and stuff and that way I could make them more multi functional. I wish they would make either a power bank with wireless charging or with built in cables or both. Wireless charging would be highly inefficient due to conversion and power loss, built in cables is more points of failure. I personally would rather have reliability and the ability to use any type of cable I choose than be stuck with what's built in. not what I mean. I mean a PowerCore without batteries in it. Seems you want just an empty pb-case with circuit board and sockets to solder some batteries in there. As an example those small round 5000mAh powerbanks. I have about 2 dozens of cells that fit into it. But those cells alone can't charge my stuff. So I could deplete the powerbank and swap cells. Similarly when I'm on longer trip with my 2600 mAh. Some my wonder why I just don't buy several powerbanks. Well, as said I have plenty of cells, but depending on what I'm doing I use them for something different. When traveling (flying) I would use them to keep my laptop charged. When not traveling I put them in my power hungry flashlights. Besides of that I like multi-functionality.